DC Superhero Girls has been a massive success since launching a few years ago. 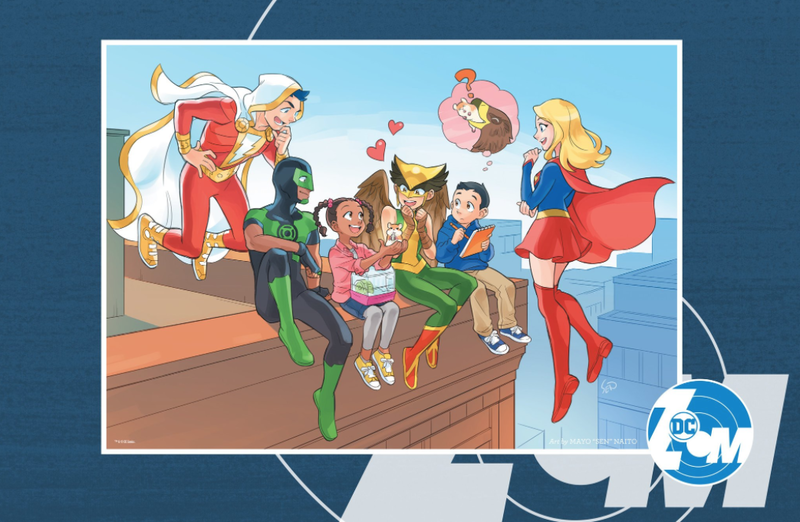 The books in the girl-centric initiative have been best-sellers and now, starting this spring, DC Comics will be putting out two lines of graphic novels by some of young adult fiction's hottest authors. Yesterday, The New York Times carried news of DC Zoom and DC Ink, upcoming imprints that will deliver books aimed at primary school and young adult readers. DC's Vice President Bobbie Chase will serve as executive editor and the writers of these books will be authors with proven track records in the young-adult market, such as Melissa De La Cruz (The Descendants) and Michael Anderson (TombQuest). Zoom will be launching with DC Superhero Girls: Search for Atlantis by Shea Fontana and Yancey Labat, while Ink will debut with a Harley Quinn book by Mariko Tamaki and Steve Pugh and a Mera project by Danielle Page with a yet-to-be-announced artist. Zoom titles will cost $US10 ($13) for 128 pages and Ink books will run $US16.99 ($21) for 192. Australian pricing has not yet been revealed. These imprints are a smart move to capitalise on the success of DC Superhero Girls and expand the audience for the publisher's characters beyond the direct-market network of comic-book shops. As someone with a kid who's shown interest in these kinds of books, I'm glad that DC's committing to making a steady stream of them in the near future. Also, Gene Luen Yang is doing something called Superman Smashes the Klan. Hell yes. More info on Zoom and Ink here.